Dans le passé, je me suis souvent fait demander si j’étais plus Québécoise qu’Abénakise. Même si je trouve la question un tantinet étrange, je n’en ai jamais été vraiment offusquée. Je n’ai d’ailleurs jamais été en mesure d’y répondre convenablement, car étant née d’une mère québécoise et d’un père autochtone, il m’a toujours été impossible de dire quelle origine j’avais le plus en moi. Ces deux origines peuvent d’ailleurs être une constante source de dilemme. L’une et l’autre ont toujours été confrontées, surtout lors d’enjeux politiques (crise d’Oka, mouvement Idle No More, femmes autochtones disparues et assassinées, etc.). 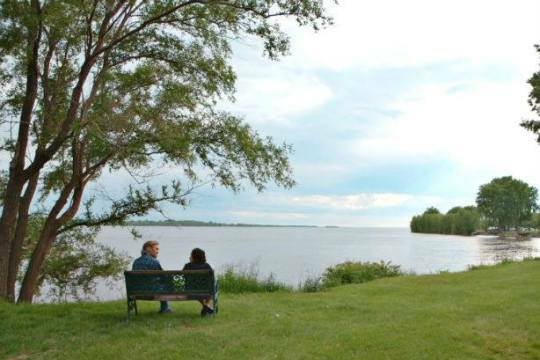 Quand des conflits éclatent, les autochtones se battent pour retrouver leur place dans cette société et les Québécois se battent pour la garder et ce, selon leur culture et leurs valeurs. Et moi, je me situe où dans tout ça? En terme éthique, ça devient difficile pour moi de prendre position, de participer au débat. Je ne peux être solidaire de l’un et déplaire à l’autre. Je ne peux approuver certains commentaires provenant des autochtones, tout comme je ne peux approuver certains commentaires provenant des Québécois. Et je ne peux juger ni l’un ni l’autre, car l’histoire a été si mal contée par le passé que la société nous a fait oublier une grande partie de nos origines. D’ailleurs, je ne crois pas être la seule dans cette situation, car au Québec, les enjeux autochtones sont source constante de conflits. Il ne nous reste donc que l’éducation. L’éducation pour les deux parties et c’est exactement ce que le film L’empreinte de Carole Poliquin et Yvan Dubuc permet de faire. Il nous permet de réfléchir à l’apport des autochtones dans la société québécoise d’aujourd’hui. D’ailleurs, comme je le mentionnais à l’une de mes #CMfriends, L’empreinte devrait inévitablement faire partie du cursus scolaire actuel. Nous, les Québécois, avons toujours eu une culture bien distincte. Nos origines, canadienne-française, canadienne-anglaise, autochtone et métis, ont tous forgé notre identité. Voilà pourquoi il est difficile de nous comparer à nos «cousins» français. L’empreinte prend donc le temps de nous démontrer, avec l’aide d’intervenants autochtones et non-autochtones, cette partie de nous qui nous différencie tant, celle dont les autochtones sont en partie responsables, car la société québécoise actuelle a plus de liens avec les autochtones qu’elle ne le croit. Nous sommes tous des descendants de cette population métissée. La relation si tendue entre les autochtones et non-autochtones le serait peut-être moins si tous comprenaient cette réalité! Ce qui m’amène à conclure en disant que je suis ni plus Québécoise qu’autochtone, je me suis «ensauvagée» comme tout le monde et je dois me battre pour nos valeurs québécoises, celles qui incluent inévitablement les autochtones et les non-autochtones. Texte: Andréanne O’Bomsawin – Mi-Québécoise, Mi-Abénakise, mais entièrement elle-même! Brought to you by Ghostly Hounds x CreativeMornings/Montréal. Ghostly Hounds is a Montréal witch-folk quartet that combines strings, horns and powerful vocals to create a dark, jazzy sound. 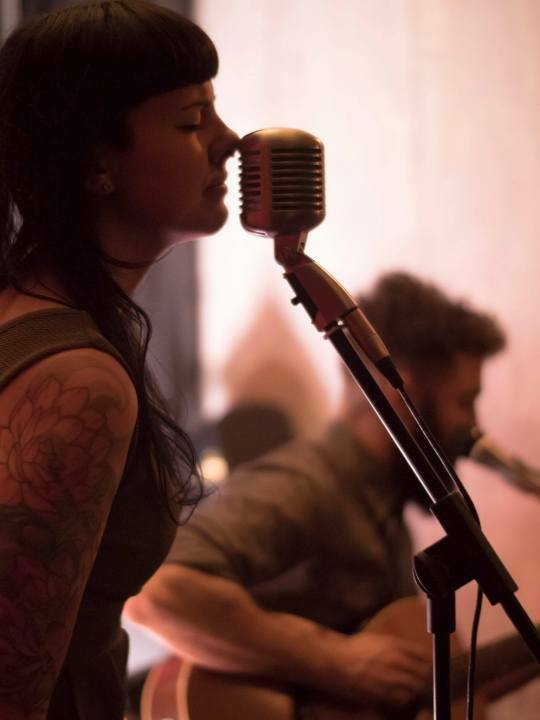 Francesca Daoust, vocalist and banjo extraordinaire, started playing a few years ago in BC. After hitchhiking and busking her way from Victoria to Halifax, she settled in Montréal and quickly began playing shows around the city. After performing a private patio concert in July 2015, she was approached by Matthew Dorfman (double bass) who was interested in collaborating. Shortly after, Suzanne Stirling and Zafer Zephyr joined the duo, adding trumpet and viola. This creative fusion came about very organically and the new quartet began recording their EP. Ghostly Hounds has since been playing multiple venues throughout Montréal and you can catch them throughout the city several times per month. This March they will take it on the road for a small Ontario tour. For tourdates, definitely check out their Facebook page. What is the creative process like for the Ghostly Hounds? Francesca creates songs as a way of processing her feelings and experiences. The writing is sporadic. Many months can pass without creating anything, while other times several songs may be written in one week. Francesca begins each arrangement with lyrics, vocals and banjo. She then reworks them with Matt to ensure a proper structure. After some modifications, the entire group jams together until a good composition emerges. The process is very collaborative. 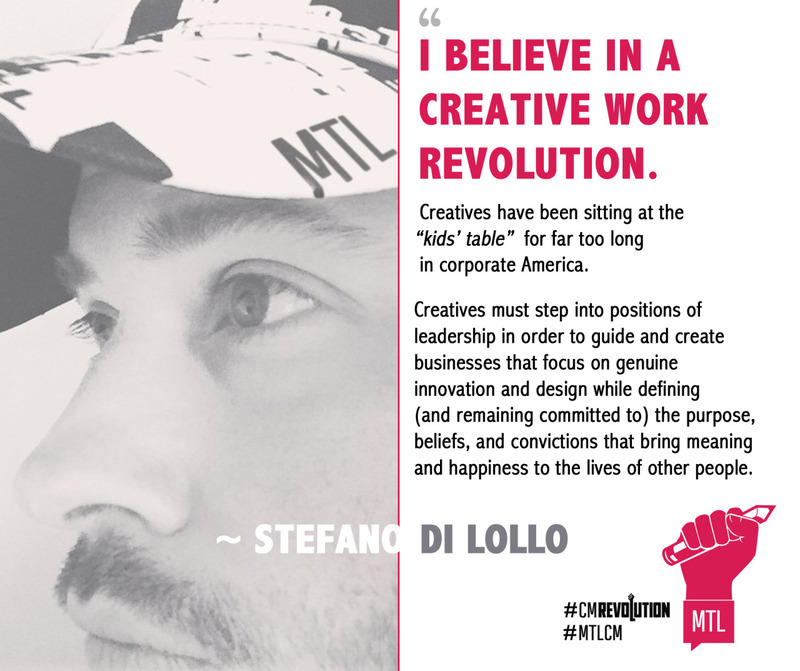 Do you think being a ‘creative’ in Montréal is different from other cities? Definitely! - Francesca says with a sparkle in her eye. Francesca believes that creatives who put themselves in the public eye should align themselves to the morals with which they identify with and should express themselves accordingly. However, she also acknowledges that once you create something it can easily take on a life of it’s own, becoming a separate entity from the person who created it. This can be observed in situations where fans enjoy a piece of art while simultaneously speaking out against the personal behaviours of the artist who created it. Come listen to the Ghostly Hounds live at the next #MTLCM x #CMethics ! Is it okay to hate the player but not the game? When I was a kid, my entire family gathered every week to watch the Cosby Show. It was the only show we watched together. We loved it. But, given Cosby’s alleged crimes, I simply wouldn’t be able to enjoy those shows the same way. The nostalgia has been tainted, quite likely demolished by the artist’s behavior. Many of us strive to be ethical consumers. We drink fair trade coffee. We wear sweat-shop-free clothing. We may even research how creative works are produced, but do we pay as close attention to the artist or creator’s behavior outside the context of his or her art? Should we? I know several people who absolutely hate Tom Cruise and refuse to watch his films. When I ask these friends why they dislike him and avoid his work, they don’t site his acting ability or the quality of his creative output, rather, they site odd behavior in interviews, statements he has made outside the context of filmmaking, and his connections to the Church of Scientology. I personally find Tom Cruise odd, no question, but I like many of his movies and the way he leads his life off-screen doesn’t detract from my enjoyment of said movies. But, I must admit, upon watching Going Clear, a recent documentary about the Church of Scientology, their alleged crimes and Cruise’s involvement, I began to question whether my supporting the actor’s work was tantamount to condoning the actions of an organization that is, in more ways than one, in direct opposition to many of my own values. As consumers of creative works, is it our responsibility to ensure that the artists we love share our values? And if they do not, are we permitted to separate the artist from the art, or are they inextricably linked? 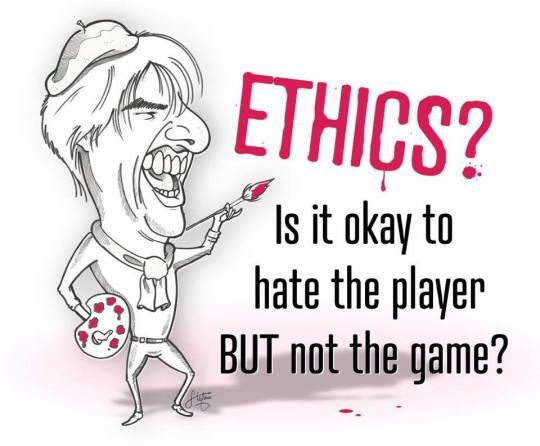 Is it okay to hate the player but not the game? I’m not sure there are satisfying answers to these questions. I think we all make these value judgements individually and inwardly. My friends have decided that, upon weighing their dislike for Tom Cruise against the pleasure they get from his movies, the former won out. Upon taking those same measurements, my own ethical scale tipped the other way. Right or wrong … I don’t know. But, holy cats, that opening scene in Mission: Impossible: Rogue Nation? So. Awesome. Live music to start the day? Yes please! Creative Mornings/Montréal is introducing live music to open the event. Come early to enjoy some good coffee, mingle with other creative souls while discovering new musicians. We were very happy to have Mahogany Fox kick-start the first Creative Mornings of the year! Mahogany Fox, with members Michal Michalik and Jessica Royea, formed as a result of a somewhat unlikely success story. Jessica, having been out of the music scene for a few years taking care of her newborn son, placed a message into the modern day cosmos of the Internet in search of a guitar player. Michal answered. Having recently moved from Vancouver, B.C., he was in pursuit of a musical career in Montreal. Sparks of chemistry flew when they met! Now, a year and a half later, the two are expanding from a cover band to writing their own songs in their new band yourself w/ yourself (ywy). Their inspiration comes from within the range of doo-wop to progressive rock, with the aim to create songs with a classic sound blended with variations from modern electronic music. You can follow Michal and Jessica on this journey by liking their Facebook page where you’ll also find links to their website and email. Le temps est certes une denrée rare. 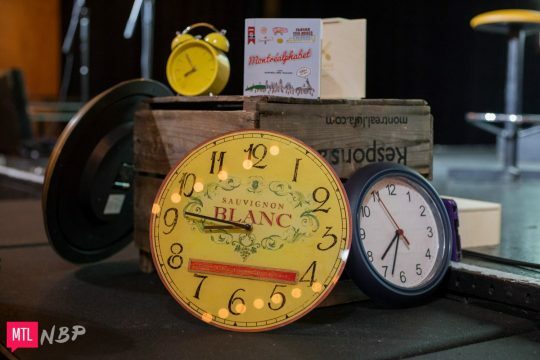 Dans une ère où nos agendas sont réglés au quart de tour, prendre le temps d’assister à un événement CreativeMornings est presque une hérésie. Pourtant, comme nous l’ont rappelé les trois représentants de La Tank lors de la conférence du 18 décembre dernier, il faut savoir savourer le temps qui passe pour être créatif. Pour clore l’année en beauté, CreativeMornings nous a proposé une réflexion sur le temps. Les conférenciers invités étaient trois représentants du groupe La Tank, un regroupement de créatifs un peu fous qui s’investissent dans un nouveau projet à chaque mois. Ces projets sont assez variés, allant de la création d’une trousse de survie hivernale à la conceptualisation d’une pub vidéo, mais naissent tous du même désir de profiter du temps pour en apprendre toujours davantage. La démarche de La Tank peut sembler improductive à première vue. En effet, pourquoi abandonner un projet une fois qu’il est maîtrisé? Jakub Szrodt, cofondateur de La Tank, admet même que plusieurs lui ont demandé de commercialiser ses produits tellement ils étaient bien reçus. Cela irait à l’encontre de la démarche, croit Justine Foucher, l’une des trois conférencières. Alors pour avoir une année 2016 riche en créativité, Sylvie Lauture, troisième représentante de La Tank, nous invite à « prendre le pouls de la vie, à danser au fil des secondes, rire au rythme des minutes et savourer le temps, tout simplement ». Vous pouvez lire le bilan 2015 de Sylvie sur le site de La Tank. Derrière chaque film se cache une histoire. C’est donc un gros plan sur ce qui se passe derrière la caméra que nous ont offert Ménaïc Raoul et Gabrielle Tougas-Fréchette vendredi passé, à la conférence des CreativeMornings/Montréal, dont le thème était ACTION. 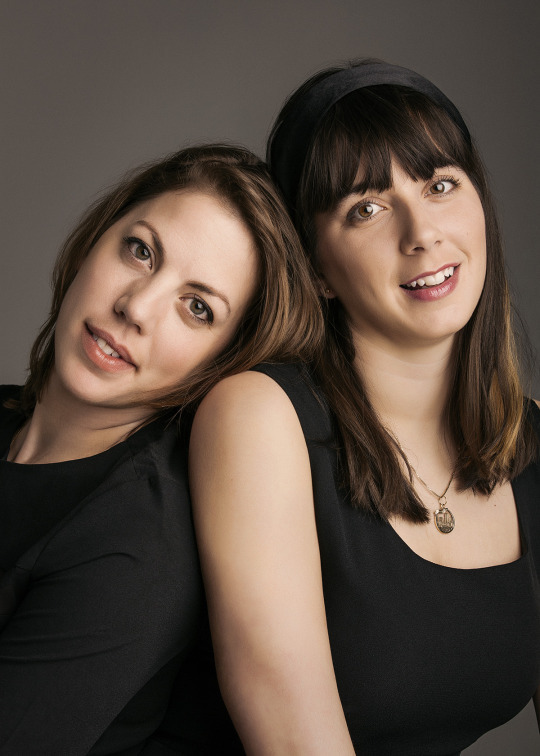 Lors de cette présentation parsemée de fous rires, ces deux productrices, qui ont fondé la maison de production Voyelles Films, ont expliqué comment elles sont passées de travailler sur un film avec des Hot Paws dans leur soutien-gorge dans le Nord du Québec au luxueux tapis rouge de Cannes. C’est donc le plaisir et la liberté qu’elles retrouvent dans leur travail – les deux productrices choisissent de produire uniquement des films qu’elles adorent – et c’est sur quoi repose leur succès. Une formule à laquelle elles ne comptent pas déroger de sitôt. En effet, malgré leurs nombreuses nominations pour leurs courts métrages, ici comme à Cannes, Ménaïc et Gabrielle admettent que si elles avaient à choisir le tapis rouge de Cannes ou un tournage dans le Grand Nord entre amis, elles choisiraient sans hésiter les Hot Paws! As usual, this month’s global CreativeMornings theme is a thought-provoking one. REVOLUTION can be a powerful or heroic word that may initially evoke thoughts of rebellion and militant movements from the past. Hopefully for most of us, the word has evolved to represent CHANGE minus the violence. Despite the fact that we often fear change and associate it with negative results, it’s the only constant in life (and I’m convinced that change is almost always a good thing). I also think it’s safe to say that most of us feel passionate about something that we feel needs to change, evolve, or improve. I’ve done a great deal of reflecting about my own personal revolution(s) this month. 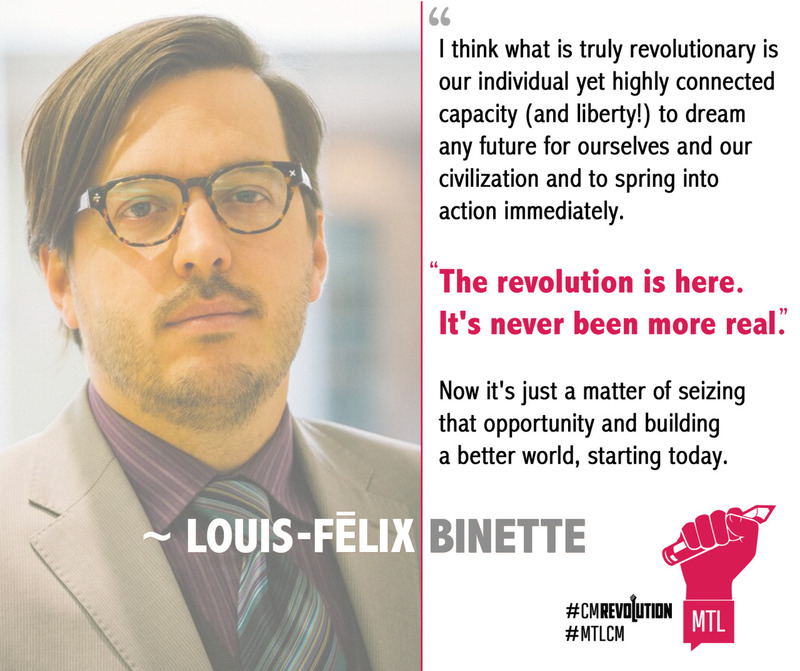 That led me to wonder what some of our past speakers and MTLCM members would say about their personal revolutions or the causes that they strongly support. So I simply asked them the question. 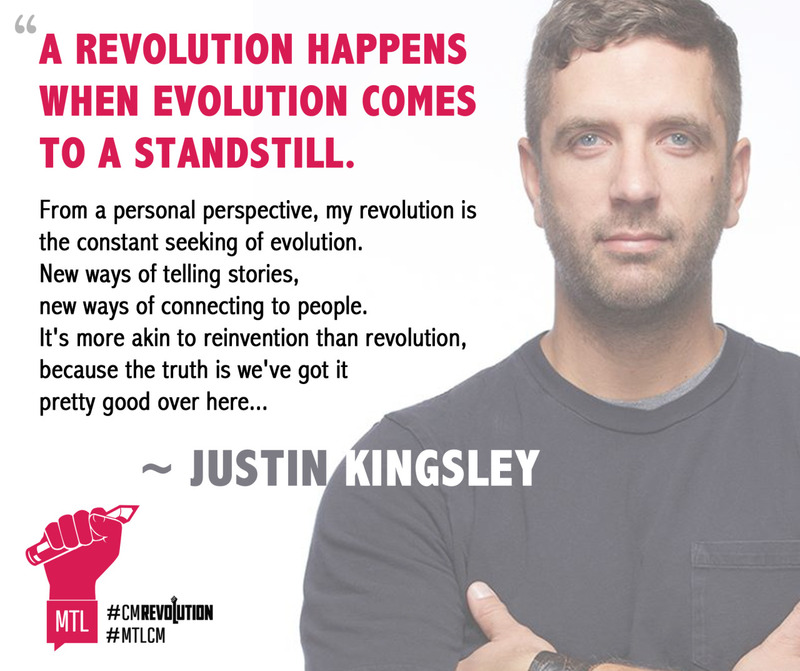 So… what’s your personal revolution? Justin Kingsley is a freelance Creative Strategist. He spoke about #HUMILITY at CreativeMornings/Montréal in April 2015. 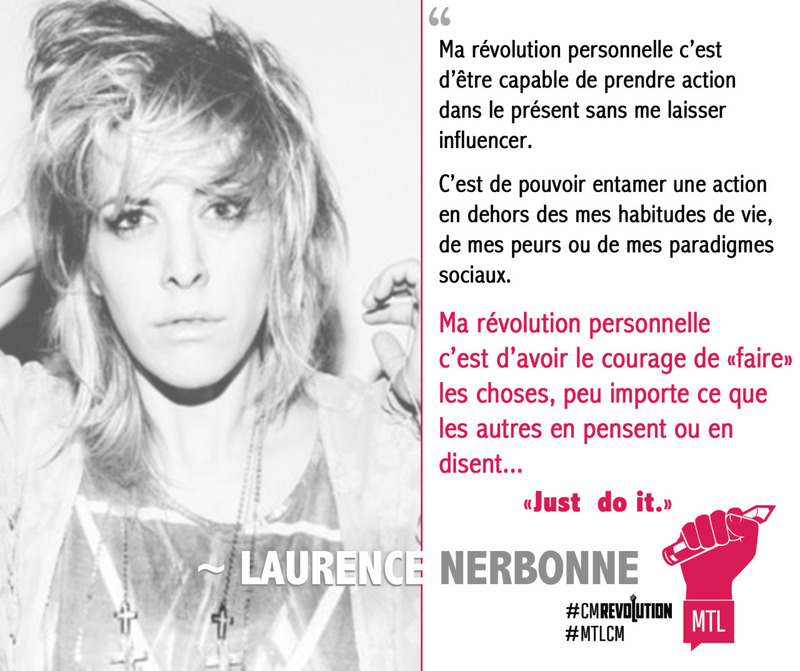 Laurence Nerbonne is a painter and a signer-songwriter. 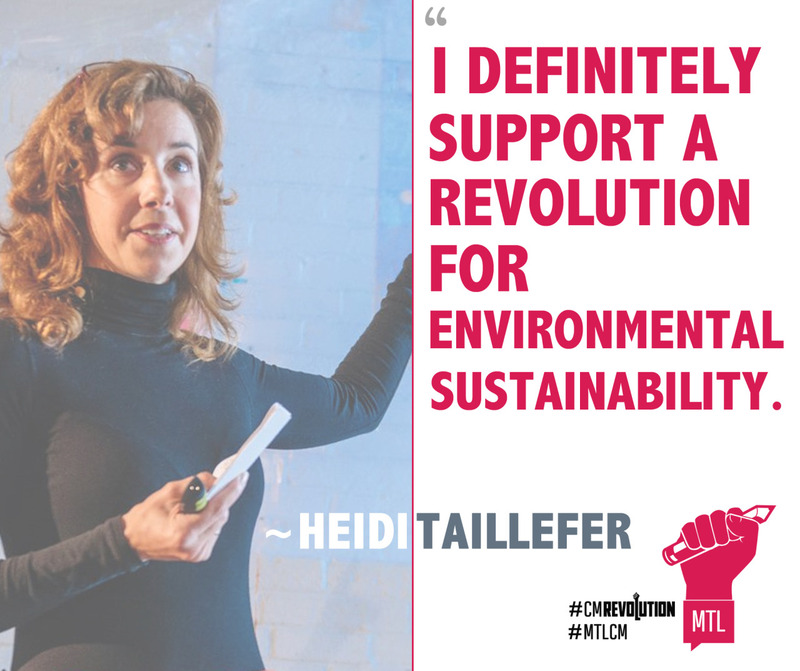 She spoke about #UGLY at CreativeMornings/Montréal in January 2015. 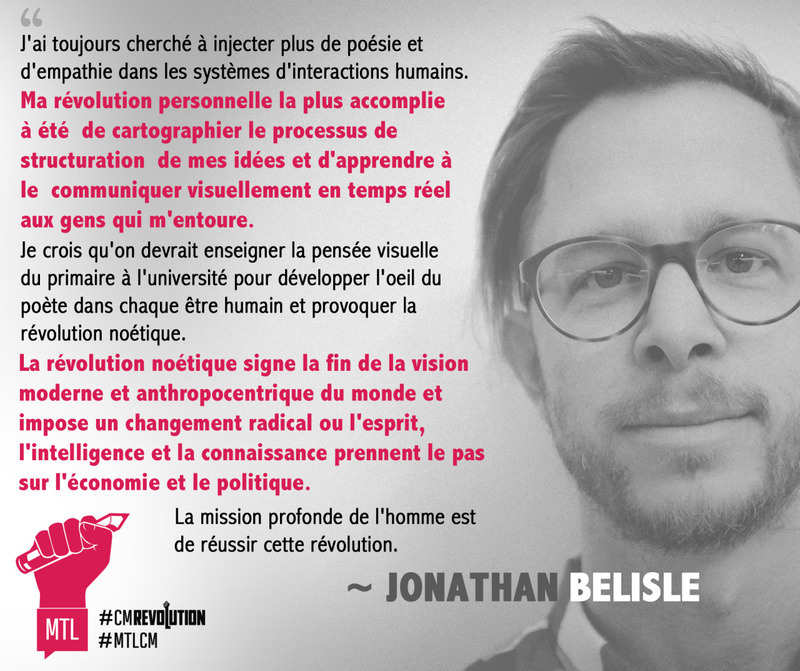 Jonathan Bélisle is an interactions poet, partner at SAGA and creator of Wuxia the Fox. He spoke about #CHANCE at CreativeMornings/Montréal in November 2014. Heidi Taillefer is a painter. She spoke about #COLOR at CreativeMornings/Montréal in September 2014. Louis-Félix Binette is the owner and co-founder of f. & co. 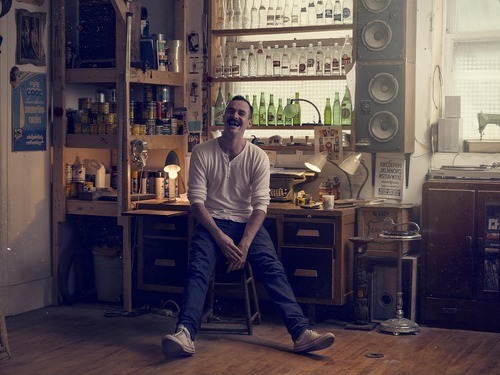 He is host of CreativeMornings/Montréal since February 2015. Steve Bissonnette is Managing Partner at Plank. 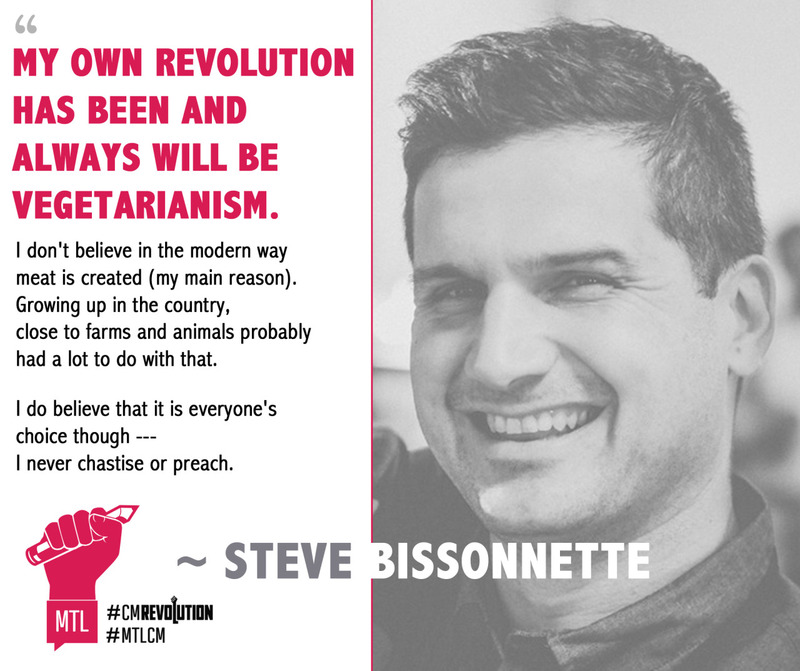 He was host of CreativeMornings/Montréal from May 2013 to February 2015. En attendant le jour où un robot viendra me porter un verre de limonade sur le bord de la piscine durant une journée de canicule, je me suis entretenu avec Ilian Bonev, titulaire de la Chaire de recherche du Canada en robotique de précision. 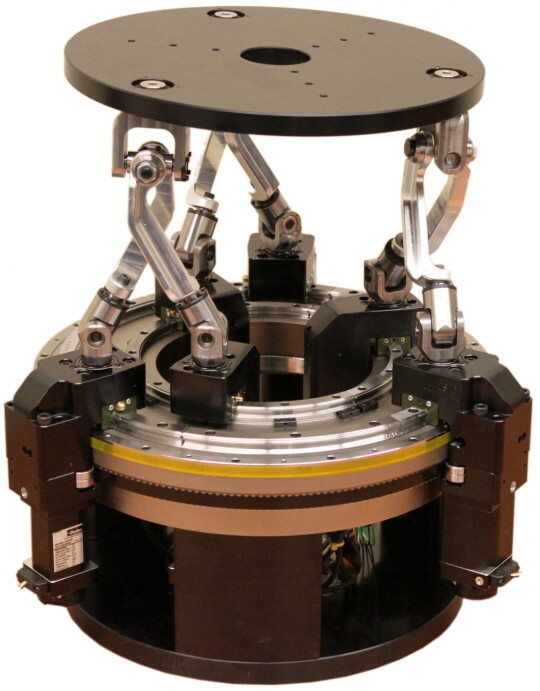 Il est également fondateur du Parallel Mechanisms Information Center (ParalleMIC) et responsable du Laboratoire de commande et de robotique (CoRo) de l’École de technologie supérieure (ETS) où il enseigne. On a souvent cette image de robot un peu enfantine dans notre tête. Dans la vie de tous les jours où peut-on retrouver des robots? Évidemment que le terme robot est très vaste, surtout quand il est utilisé dans les journaux et magazines grand publique. Parfois il y a des articles pour la maison qui sont étiquetés comme étant des robots et ça ne l’est pas. Dans la vie de tous les jours on retrouve bien sûr les aspirateurs iRobot qui sont largement utilisés. Pour ce qui est des robots humains, je peux vous le dire tout de suite il n’y en a pas. J’ai eu la chance de voir un vrai robot humanoïde, ça coute très cher 800 000$! Il n’était pas très intelligent mais au moins il pouvait marcher. Il y a notamment une compagnie Française qui a été acheté par une compagnie Japonaise, qui fabrique un petit robot humanoïd, ayant une vocation éducationnelle. Celui-là est plus abordable et coûte aux environs de 6000$. C’est un très beau jouet qu’on peu programmer. Un robot qui s’en vient et qui est très intéressant, a été fait par un professeur du MIT. Il est un peu comme Siri mais en version plus intelligente. Il a une tête qui tourne avec un écran. Les robots industriels, C’est vraiment ce qui est en train d’exploser en ce moment, surtout à cause de la Chine. On en fabrique environ 130 000 par année. Cet engouement est dû en partie à la main d’œuvre qui est de plus en plus cher, et les robots qui sont de moins en moins cher. La nouvelle tendance est d’ailleurs aux robots collaboratifs. Ils sont presque aussi performants que les robots industriels mais leur grand avantage est qu’on peut se tenir à côté de ce robot. En effet, dans le cas du robot industriel, il n’a pas de capteur pour percevoir les gens. S’il nous frappe c’est assez puissant, il faut donc les mettre en cage et du même coup automatisé tout le procédé. À ce moment le coût du système informatique est plus important que le robot lui-même. Tandis que pour les robots collaboratifs, on peut les mettre n’importe où. Bon en suivant la logique, pas de couteau dans la main du robot, pas de coin perçant, par exemple. Il peut aller chercher une pièce et le donner à un opérateur qui est à coté de lui ou tout simplement le mettre dans un bac. Les opérateurs n’ont pas à craindre de se retrouver en présence du robot. 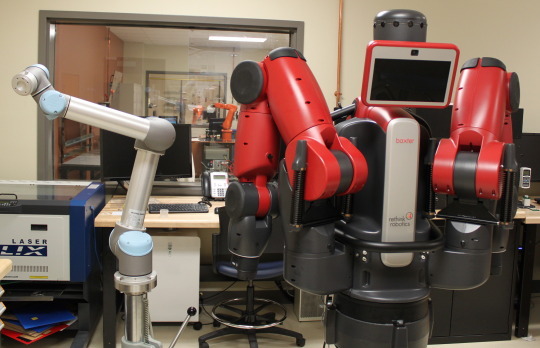 Deux des robots collaboratifs du laboratoire. En rouge, le Baxter de Rethink Robotics et l’UR5 de la compagnie danoise Universal Robots. Les robots collaboratifs sont à l’opposé des robots industriels. Toutefois ils ne peuvent pas soulever d’objets lourds. Par contre, ce qui est intéressant c’est qu’ils viennent avec des caméras, ils ont donc une vision, ils sont plus intelligents, et plus facile à programmer. Même Google se lance là-dedans maintenant. Ils viennent d’engager un des spécialistes de la plus grosse compagnie en robotique, sans parler d’Amazon et pour ce qui est des drônes aussi ça explose. C’est quelque chose qu’on va voir de plus en plus. Le monde de la robotique a beaucoup évolué. À L’ETS nous avons plusieurs types de robots, industriels, bras mécaniques, découpeuse laser, etc. En ce qui concerne les robots qu’on fabrique, c’est des robots parallèles. L’imprimante 3D par exemple est un type de robot parallèle. Un des robots parallèles développé au laboratoire. À l’école, on fait principalement cinq types de robots parallèles. Le rôle de l’université c’est de former des gens de l’industrie. Des fois on fait des trucs super utile des fois plus expérimentale. Il faut se permettre de pouvoir expérimenter. 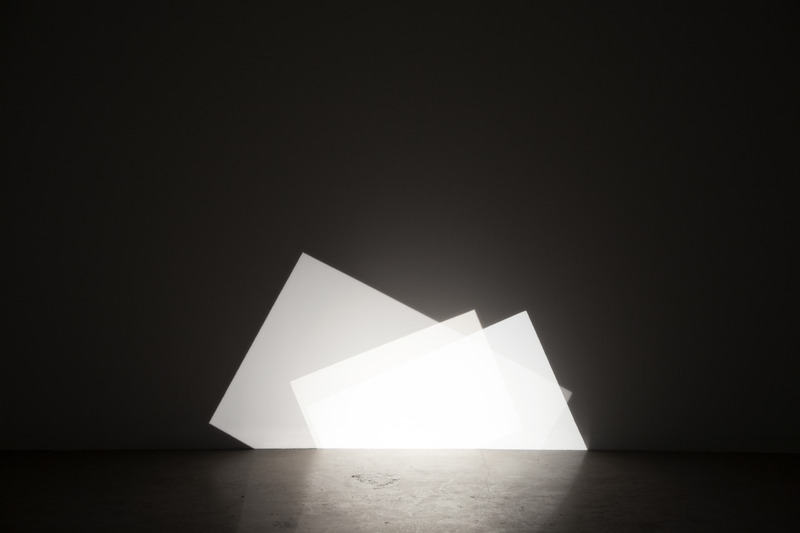 Papier15 is an annual contemporary art fair based on Montreal, dedicated exclusively to the promotion of art on paper. We’re lucky to have a small preview of the exhibition at our upcoming CreativeMornings Montréal event this Friday, appropriately themed “Ink”, and conveniently located in the same Mile End building as the upcoming art fair. Fair ambassador Bill Clarke explains their approach: “There is a wide range of work that can be made on paper – drawings, collage, small paintings, prints, abstract or figurative – and, for many artists, paper-based work is central to their practice.” Produced by the Contemporary Art Galleries Association (AGAC) and now in its 8th edition, we chatted with Simone Rochon, Communications Manager at the AGAC about the significance in 2015 of an art fair focused on paper works, and their connection to the broader Montreal creative community. With so many opportunities for artists to be working with digital and new media in 2015, why focus exclusively on paper artwork? This special focus is what makes Papier so unique. We may at first think of paper as a more traditional medium, but it actually offers a huge range of possibilities to artists! 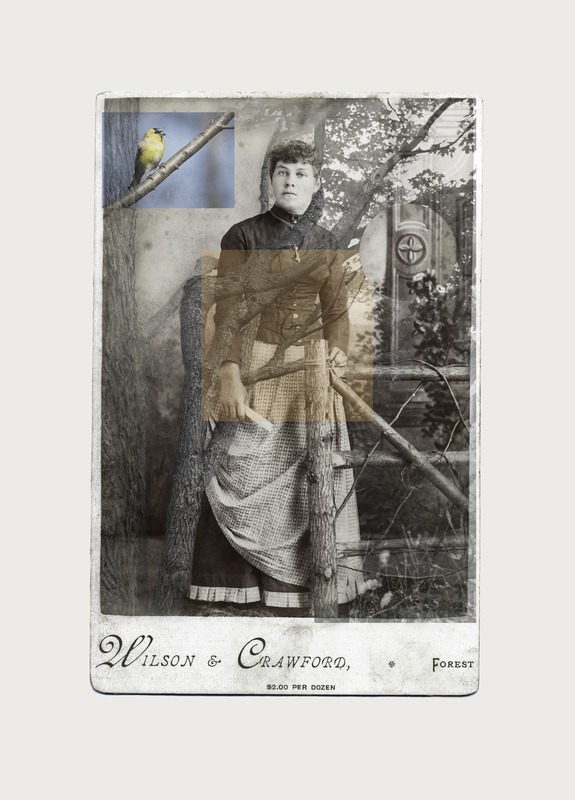 Works on paper at the fair include drawing, print, photography, collage, sculpture, installation and even new media work. 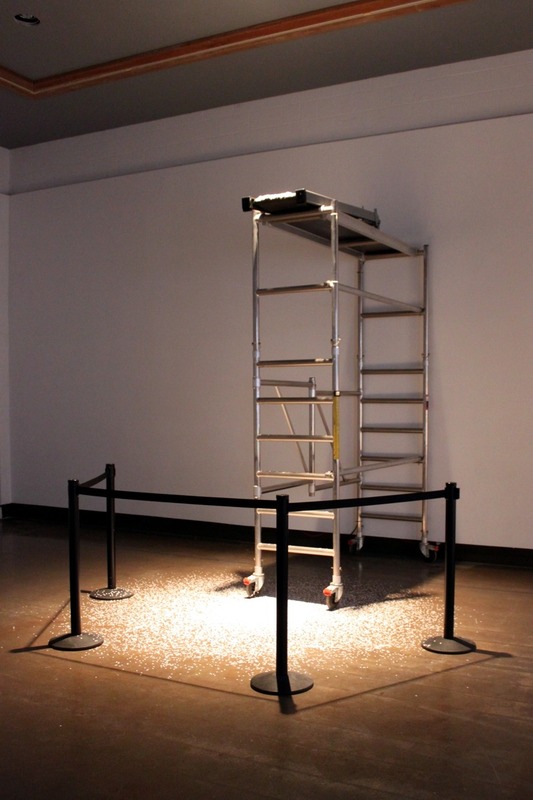 Jessica Bradley Gallery, for example, will be presenting an installation by Jon Sasaki, where confetti is slowly being dropped from a conveyer belt. Artist Valérie Kolakis, from Donald Browne Gallery, will be presenting a bronze sculpture that looks exactly like an old cardboard box. It’s a play on the way we perceive the medium of paper and on the preciousness we usually associate to a work of art. Another reason behind this focus on the medium of paper is that prints, drawings and photographs, for example, are typically more affordable than a painting or a sculpture. This means that they are also a great way to start collecting! Having this focus is a good and simple way to convince visitors that contemporary art can be both accessible and affordable. Has the Papier audience evolved since the fair’s launch 8 years ago? Since our first edition, we’ve seen our audience grow significantly from approximately 4,000 to 18,000 visitors. There are many different types of visitors at Papier… What’s great is that the event draws in people who wouldn’t necessarily visit art galleries, but who after discovering Papier become more curious about contemporary art. There’s a very friendly atmosphere at the fair and this is one of the reasons visitors come back year after year. Of course, Papier attracts an array of art enthusiasts, art students, art professionals, art patrons and collectors. What was the impetus for the move to Mile End from the Quartier des spectacles? Unfortunately, there is major construction planned on the vacant lot we occupied last year. It was impossible to predict when exactly the construction work would start… and far too risky to plan the fair knowing theses dates could change. When we visited the Complexe de Gaspé, we were at once impressed and excited. The space is beautiful and the view is breathtaking. 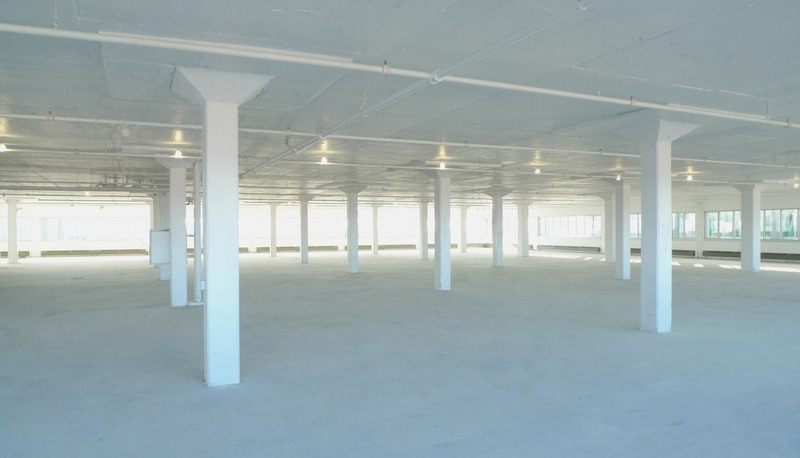 The size of the space offers huge potential – this translates into more space for visitors and larger booths for galleries. The Gaspé hub is also home to six artist-run centres and hundreds of artists’ studios. In recent years, it has become a burgeoning venue for contemporary Canadian art, with the highest density of artists and cultural workers in the country. What advice would you have for the first-time art buyer looking to start a collection? First, do some research to narrow down and focus on what you really like. The more you see, the better! Visit galleries, exhibition centers, art fairs or museums and research artists online. Set a budget. If you are starting a collection, you might want to give preference to emerging artists whose works are often more affordable. Of course, works on paper, especially editions like prints and photographs, are always a good way to start on a modest budget. It’s also good to know that a lot of galleries offer payment plans. Don’t be afraid to ask questions and let the gallerist help you through the process. It’s their job to give you a history about the artist and information about his/her artistic practice. Most importantly, don’t be intimidated! Trust your instincts and don’t underestimate an emotional connection you have to an artwork… a big part of buying art is selecting pieces you are naturally drawn to. 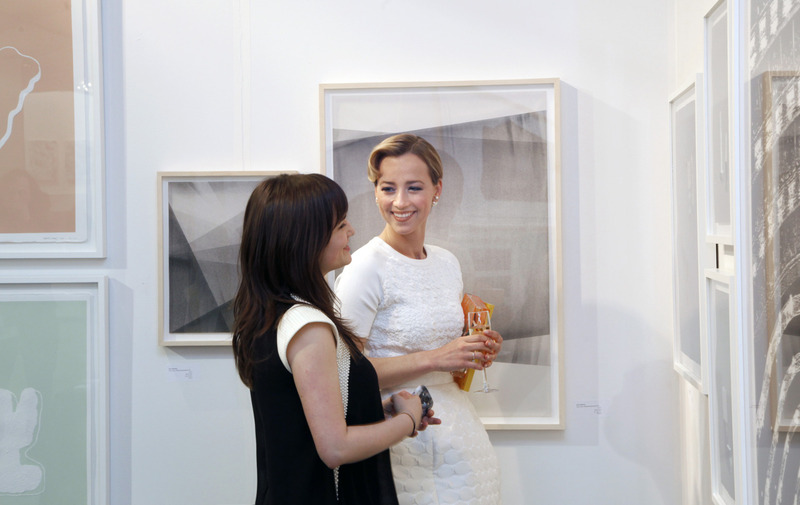 Papier Spokesperson Karine Vanasse at last year’s event. Credit: ARHphoto. Is there anything special that we can look forward to at this year’s edition? There are many new features to look forward to this year! We have a fantastic program of daily talks and tours with an impressive line up of guests and experts. 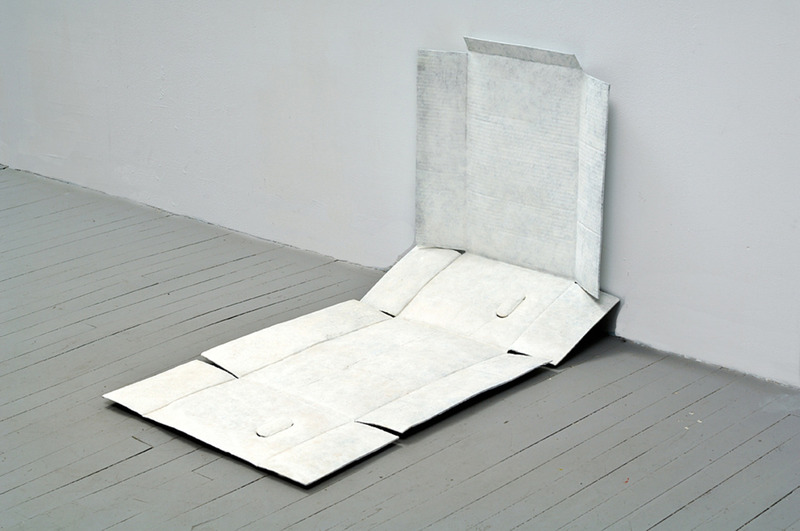 Papier Projects, a new component of the fair, will showcase large-scale works, installations and site-specific works. We also have a new art video progam, which comprises of a dozen video works presented in a special screening room. All these activities are free. Papier15 kicks off with a VIP benefit cocktail on Thursday April 23rd at 6 p.m. and opens to the public for free on Friday April 24th. For more info visit http://papiermontreal.com/ or buy your VIP tickets here. You may know Dave as Mr. Sign – or at least you’ve already seen his work. Based in Montreal, Dave Arnold is a sign artist whose pieces are regularly painted on food trucks and restaurant window displays. 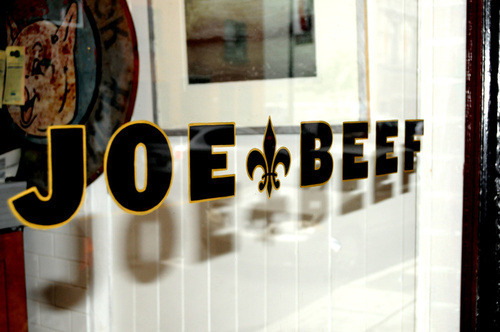 A quick glance at his portfolio reveals that Mr. Sign has left his mark (literally) on many renown local eateries and establishments, including Joe Beef, Lawrence and the Grumman 78’ food truck – my personal favorite. Dave’s choice of playful yet simple bold lettering that is both nostalgic and contemporary is sure to grab a passerby’s attention. Given that Dave is the featured illustrator for this month’s climate theme and a past CreativeMornings/Ottawa speaker, it seemed befitting that we would sit down and ask him a few questions. Plus, we were curious. He seemed like quite a guy. Dave Arnold ladies and gentlemen, coming to a sign near you. Word on the street is that Mr. Sign evolved as a result of door-to-door visits to local businesses attempting to sell hand-painted Santa Claus window displays. True or false? Your portfolio is impressive. You’ve collaborated with a lot of interesting Montreal establishments, including restaurants like Nora Gray and popular Mile End hangouts like Nouveau Palais. Where might I find Mr. Sign in the future? More and more these days, I’m working in the field of ‘design.’ In the end, the designs are often executed as hand-painted signage, but the design process itself has become increasingly fascinating to me. I’m working this week with McDonald’s Canada on a complete re-brand of their logo and branding. Without giving too many details, I can tell you this: the ‘Golden Arches’ are going to have pointy tops soon, rather than curved. Stay tuned! How do you go about creating a sign? Are you normally given artistic freedom or is the client heavily involved in the process? I dig the Western feel and the old-fashioned typeface that you selected for your CreativeMornings illustration. 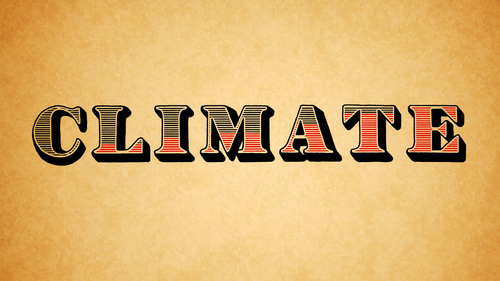 How does the image relate to this month’s climate theme? I figured that since the current climate issue is often associated with global warming, I’d slip in the old ‘thermometer temperature rising’ trick. As for the lettering itself, I decided I wanted something was, how do you say?…….. the “bomb jiggity”? In my humble opinion, I accomplished this task neatly and completely. You’re starving and you could use a drink. Where would we find you? Montreal is world renowned for it’s restaurant and bar scene, but if you compare the prices they’re charging to the prices that the supermarket is charging, it’s ridiculous. 8 to 1; 9 to 1 sometimes. I mean, what am I, a Sultan over here? Get serious. You can find me eating and drinking at my cozy little house, just STACKIN’ that paper. Gangsta stylez. Still curious about Mr. Sign? Check him out here and follow him on Instagram.